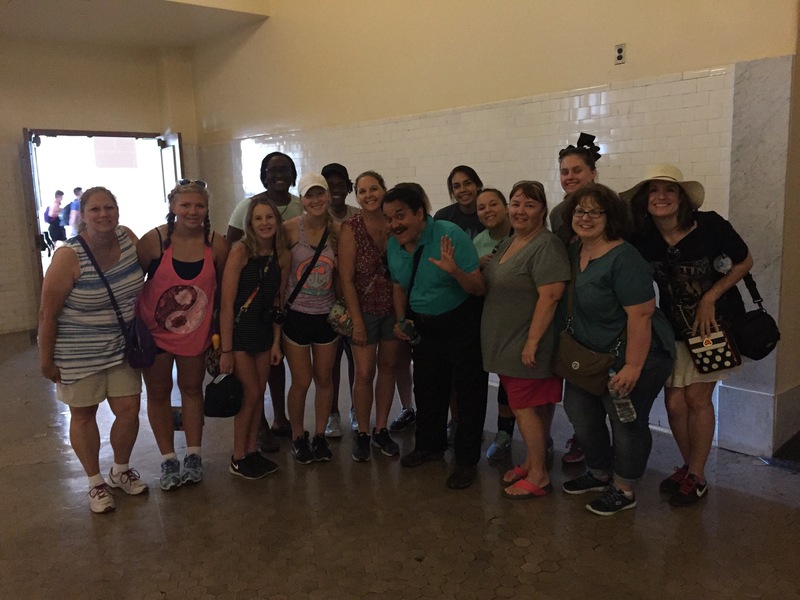 The morning began with a tour of the Statue of Liberty and Ellis Island. Our tour guide, “Uncle” Jeff was quite entertaining and kept all laughing on the four-hour tour. 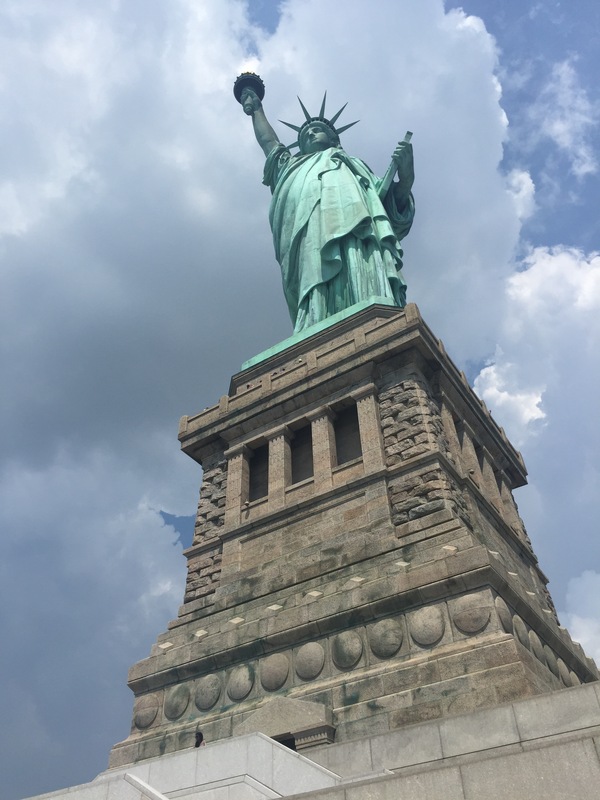 We learned all kinds of things about the history of the statue and it’s sculptor, Bartholdi–especially that he loved his mother lots and used her likeness for Lady Liberty’s face. Ellis Island showed everyone the reality of being an immigrant to the US from 1892-1922. What it required to enter the country and how long it took many families to save the money for passage to the states, some only to be separated again due to illness or other issues. Many were eventually reunited. 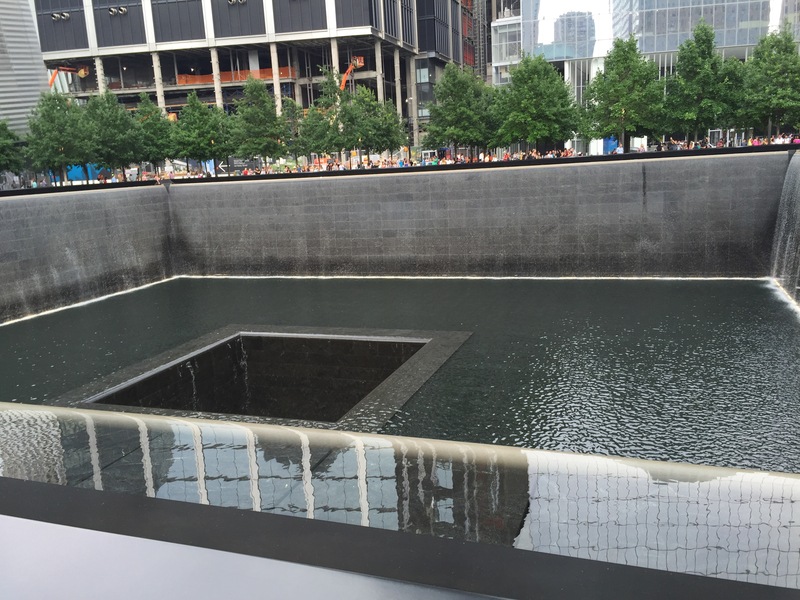 Then it was off to the World Trade Center Memorial. We even caught a city bus because everyone was so tired at that point. Our navigators Denise and Krista got us right on, across from Battery park. 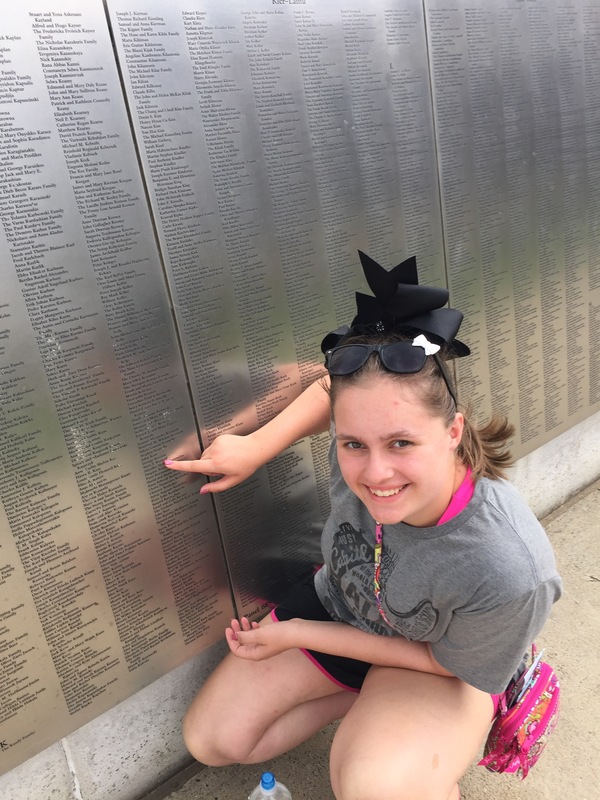 When we got there, we advised the girls to be reverent and respectful. Here is what a few of them thought about the experience. 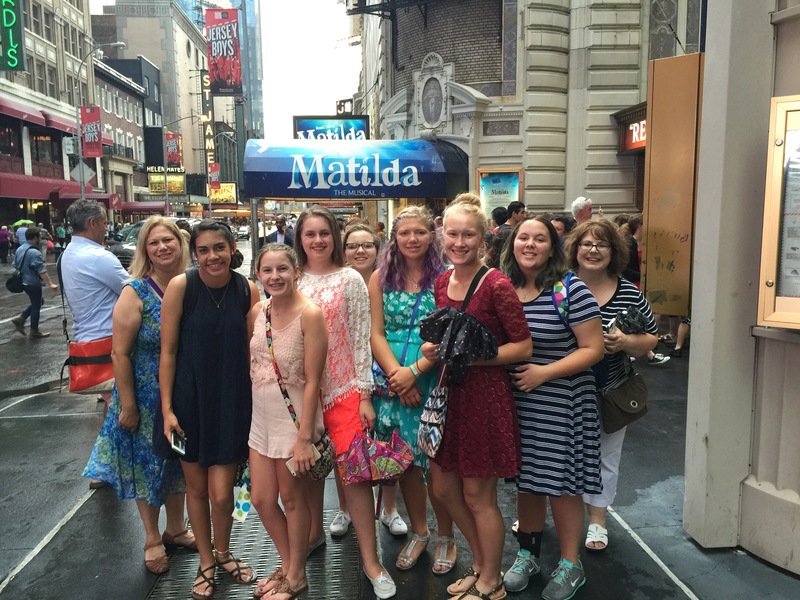 Then it was back on the subway to our house for a little relaxation and getting ready for an evening of Broadway. Matilda was amazing. Hilarious, very representative of the story and met all Matilda fan’s “expectations.” Chocolate cake anyone? 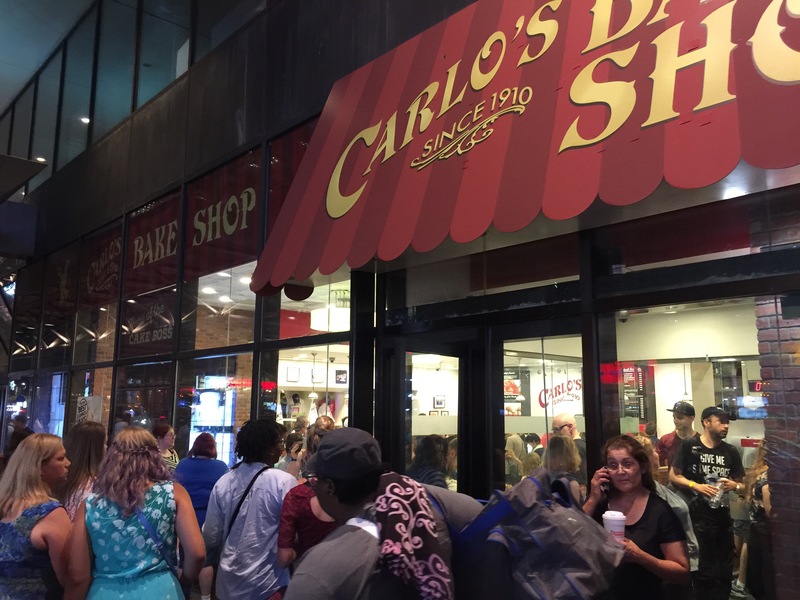 Now we are standing in line waiting for our box of treats from Carlo’s bakery–Cake Boss, people, in case you wondered. Tomorrow is an extra early one with a GMA concert in the park on tap. Wonder if we’ll be able to get the girls up at that hour of dark-thirty? 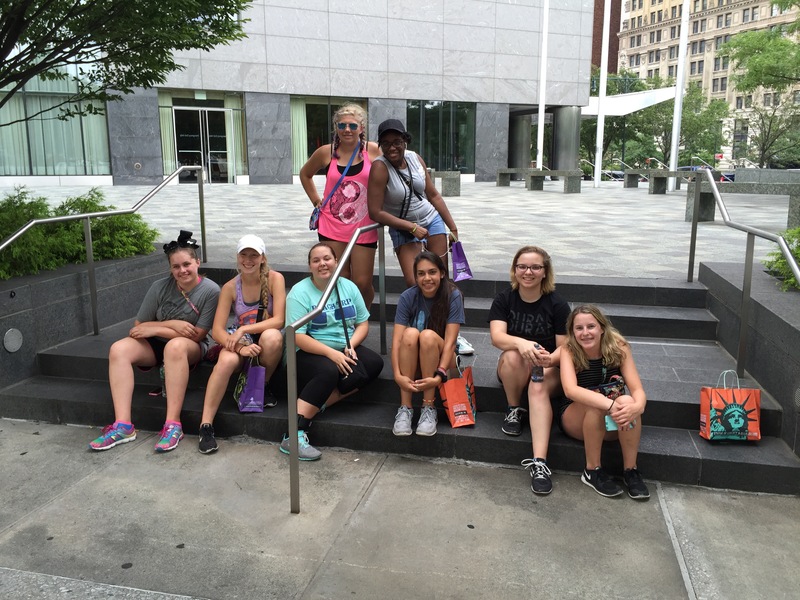 It was a full day of NYC fun and education. The girls are soaking up the sights, sounds and culture at every turn and thankfully we haven’t misplaced anyone yet! Tomorrow is another day. Lol.